Yesterday we asked you "What's the iPhone 3G Chip and When Will it Ship?" Today we want to know what YOU think the iPhone 3G is going to look like? Darth Vader black and Paris Hilton thin? Candy red fatty with Kevin Rose cam up front? High-def white with chrome button trim? What do YOU think? To give you some help, here's a HUGE roundup of all the iPhone 3G form factor rumors. Epic-style. Because let's face it, roughly 0.01 seconds after Steve Jobs pulled the first iPhone from his pocket back at Macworld 2007, and someone, somewhere, put aside their childlike sense of wonder long enough think: "Nice! What's the next gen going to be like?" Complementary, contradictory, obvious, confusing, all but confirmed or from left field via outer space, the rumors have flooded the internet ever since. It's become almost impossible to keep track of them all. Six days from today Steve Jobs takes Moscone Center stage for the sold-out WWDC keynote, and according to everyone and their newsfeed, announces the iPhone 3G. In eager anticipation, every day this week, TiPb wil be asking you to tell us what you think the next generation iPhone will be, from 3G to GPS, release dates to price points, colors to casings, 2.0 software to .Mac .Me services, and this weekend we'll wrap it all up with a look into the WWDC/iPhone 3G Crystal Ball, and a roundup of the very best of YOUR predictions. So come on, let's get in on! Right after "OMG 3G!" and "when can I get it?! ", the next most burning question in the heart of the blogsphere is "what will it look like?!" The current/original iPhone is 4.5" x 2.4" x 0.46" (115mm x 61mm x 11.6mm) and weighs in at 4.8oz (135g) with a glossy black, optical glass facade, silvered trim, aluminum backing, and a black plastic band over the bottom rear to allow the antennae better reception. It boasts a 3.5" 320x480 display at 163dpi, a rear-facing 2.0 megapixel camera, 3.5mm recessed headphone minijack, 30-pin dock connector, speakers at the top and base, microphone at the base, accelerometer, light sensor, proximity sensor, top-mounted SIM slot, on/off button, mute switch, volume button, and home button. All of this wrapped up in Apple's trademarked rounded rectangular slab form factor. It's an admittedly drool-inducing beauty, having won numerous design awards including the prestigious Black Pencil. What then could they possibly change only a year later? 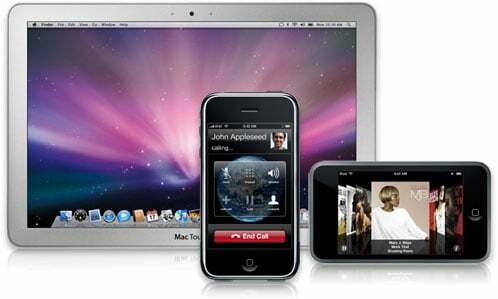 March 7, 2008: Beginning the SDK-related leaks, the iPhone Lounge stumbled over a small image of a "fatty" iPhone on the Education First Educational Tours "private page" on iTunes. Sure, it could have been a next-gen iPod Touch or even iTablet, or just Apple playing with us, but it was enough to get the rumors racing! capacitive array element [that] may be a dual-sided panel that is capable of sensing touch from either side and sending signals indicative of the touches to a host device (e.g., a desktop computer, a laptop computer, a digital music player or a mobile telephone unit). And we said "hello" to iPhone Flip rumors! April 4, 2008: The iPod Observer ran a picture of a supposed iPhone 3G spy shot, and it was painted black. It later turned out to be just a current gen iPhone in a black case, but the iPhone Black rumors were here to stay. April 25, 2008: Engadget's trusted source claimed to have the know on the iPhone 3G. They stated numerous test units were already out and about in "super secret pockets". And the specs? Same size and shape as the first gen, with glossy black finish like that in the fake "spy shot", chromed(?!) volume buttons, no removable battery, flush(!) headphone jack, and the same screen size and resolution. May 1, 2008: iLounge provided a picture of an iPhone 3G spec sheet for accessory makers. Highlights included blond, brunette, and redheaded models. Also featured were a tapered back, and a slight repositioning of the sensors. The conservative changes (color aside) made this one of the first leaks to seem at least part-way reasonable. May 12, 2008: The Boy Genius Reports captured AT&T's website suddenly offering the choice for an "iPhone Black", which added further fuel to the black plastic iPhone fire. A UK accessory store also showed strings for "iPhone Black" accessories (or were they iPhone "Black Accessories"?). May 13, 2008: But as AT&T leaketh, they also taketh back, and an AT&T spokesperson claimed the iPhone Black listing was a system glitch caused by some placeholder text for the different 8GB and 16GB models. The explanation made no sense to anyone familiar with website wiring, but other reports surfaced saying "Tilt Black", for example, had also shown up, suggesting the excuse did cover a glitch, only a sillier one than claimed. There is an iPhone with Intel’s new Atom chip. The device is slightly larger than the current version. That is not, however, because of the Intel chip, but because of the larger display used in the new iPhone. The Intel CEO mentioned furthermore, that the display on iPhone 2 would be bigger than on iPhone 1 (although it is already quite big). iPhone 2 is also thinner than iPhone 1. 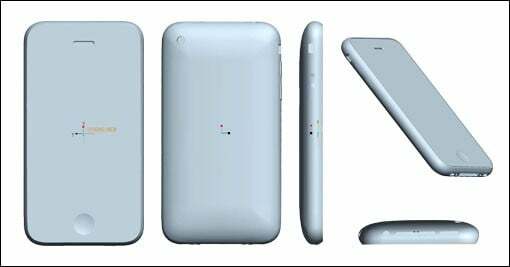 May 19, 2008: Perhaps riffing on the aforementioned (rumored) specs, accessory maker EXO posted a mock up of what one of their cases would look like on such an iPhone 3G, potentially confirming both the specs, and the Nano-like fatness. May 27, 2008: iPhoneClub.nl posted some images of an iPhone White that looked eerily like the fake spy shots of the current gen iPhone-in-a-case we saw previously. If by some means legit, they confirmed both the increase in width, and plastic and more rounded back. May 28, 2008: The spy shots got kinda hectic when IdealsChina showed off a supposed mold for well known accessory maker, Griffin's iPhone 3G case, as well as a mock up that matched previous rumors rather closely. (meaning they were real, or the rumor people had resorted to copying each other). June 2, 2008: “Inside Steve’s Brain” author Leander Kahney of Wired magazine claimed a programmer source inside a major software house revealed that the next generation iPhone 3G would be a whopping 22% thinner, even with better battery life, and twice the storage (for an uber-cheap $200 to boot!). 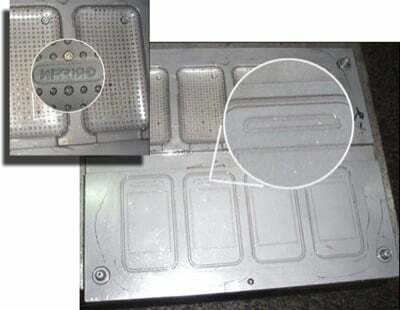 June 5, 2008: iDealsChina (via Apple Insider), who previously leaked the Griffin “iPhone 3G” molds, now claimed that Apple had made some last minute case changes resulting in a next generation device 2mm (0.08 inches) shorter and 0.5mm (0.02 inches) thinner than the previous leaks showed. So there you go, now it's your turn. Tell us what YOU think the iPhone 3G is going to look like. Blond, brunette, or redhead? Thinny or fatty? Shiny or matty? More buttons or less? Toned down or pimped to the max? And after you're done telling us, don't forget to head over to our iPhone Blog's super Wait-a-Thon spectacular where you could win an iPhone 3G of your very own, whatever it looks like, on the very day it's released! Go back and read Part 1: What's the iPhone's 3G Chip and When Will it Ship? Continue reading Part 3: What Surprises Will Be in iPhone 2.0 Software & Services? Continue reading Part 4: What 3rd Party iPhone SDK Apps Will Be Available Launch Day? Continue reading Part 5: What Will the iPhone 3G’s Hardware Features Be?